A compendium of Disney’s deliciously devilish baddies, Jen Darcy‘s latest book is a display of animated tyranny from both Disney and Pixar animation. Disney Villains: Delightfully Evil is a who’s who look-through of wickedness with a plethora of imagery and behind-the-scenes details for those who want to know the ins and outs of antagonists. More Disney songs, specifically from the past 15 years, more or less, are most upsettingly forgotten in light of a few breakout pieces. “Let it go,” I tell myself, tongue in cheek. There are memorable songs beyond the realm of Frozen, Tangled, and Moana. 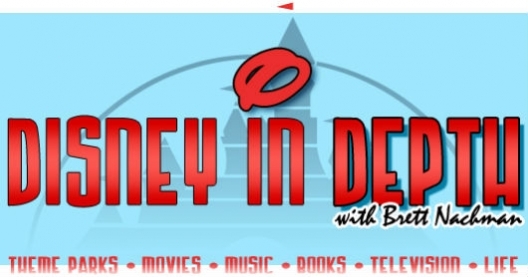 In this Disney In Depth I follow-up part one of my list of overlooked Disney songs with ten more that deserve multiple listens – and downloads, too, should they be accessible. A new year is here. That means an abundance of new content from The Walt Disney Company across its many divisions, from film and music, to television and the theme parks. What is most worth seeing and experiencing? Here’s my picks for Disney’s 10 Most Exciting 2017 Projects!